Hello, friends! Welcome to Huesday Tuesday! If you're new here, each Tuesday there's a different favorite paint color featured. 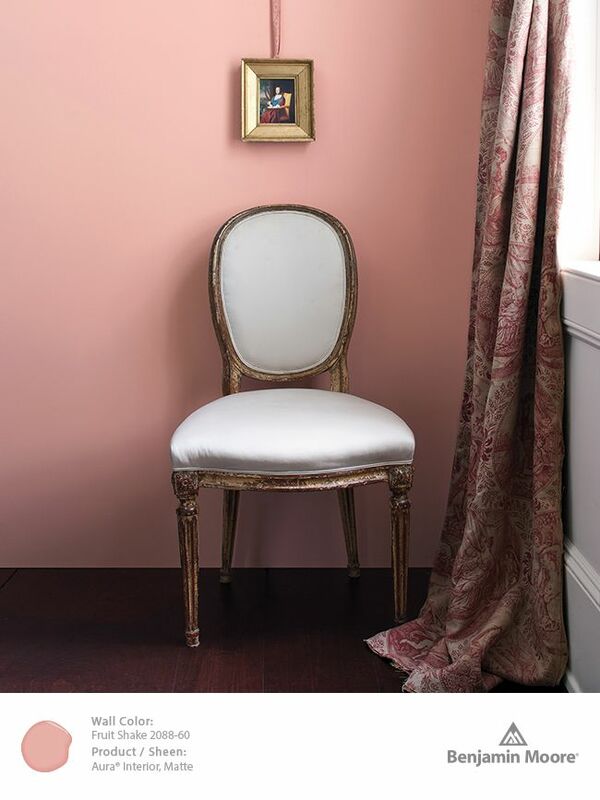 Each year Benjamin Moore chooses a "Color of the Year" from their palette . The color for 2014 is called Breath of Fresh Air, #806. Don't you love that name? I know I could use a breath of fresh air on most days. Breath of Fresh Air is just that...a light, fresh, pastel blue with a hint of gray in it. 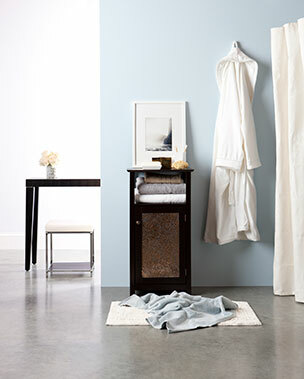 It would look nice in a bedroom, bathroom, laundry, office, or a kitchen with white cabinets. 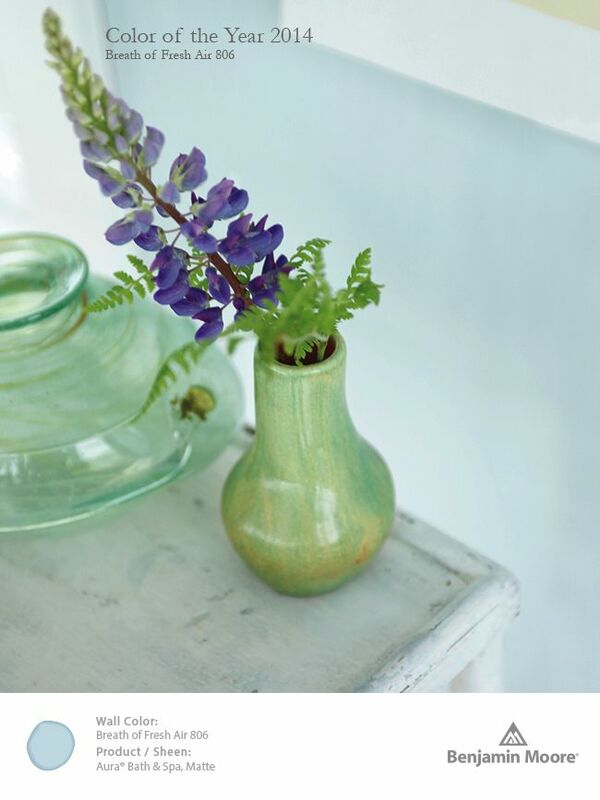 It coordinates well with light greens, lavenders and lilacs, and pale yellows, as shown in the photo above. It's very refreshing. Here's it's used in an entry way, and seems to bring the outdoors in. It mixes nicely with the dark furniture and floor in this space. 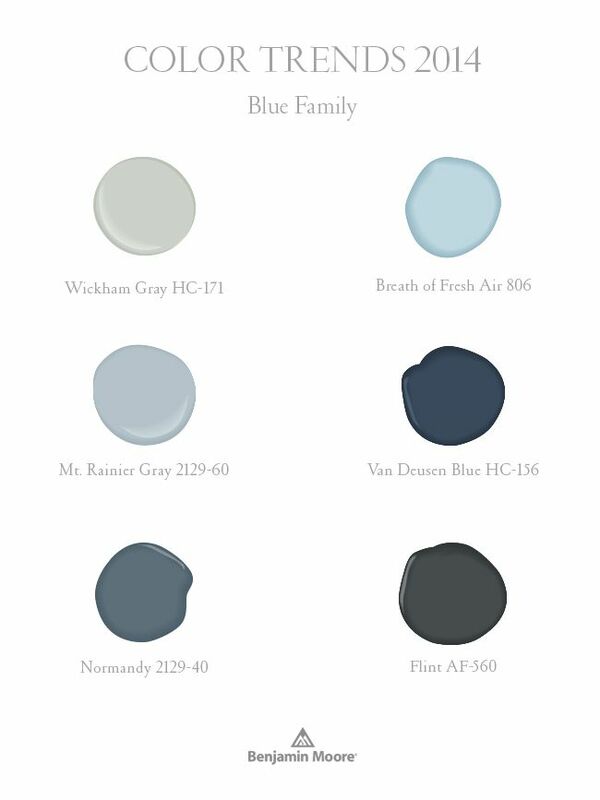 There are several other blues included in the 2014 trends from Benjamin Moore. I've really grown to like blue in the last few years. It's such a peaceful, restful color. It somehow seems to reduce the stress around our house. 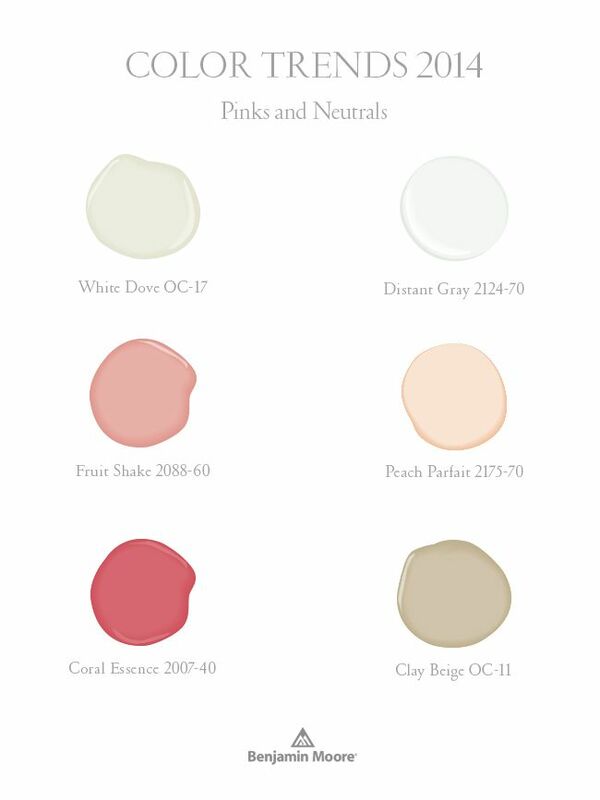 Here are the pinks and neutrals that are trending for 2014. I actually like the Fruit Shake color on the wall in the photo here, but don't know how long I could live with it. Maybe it would be a good color for a guest bedroom or half bath. Or any space that you don't spend too much time in. 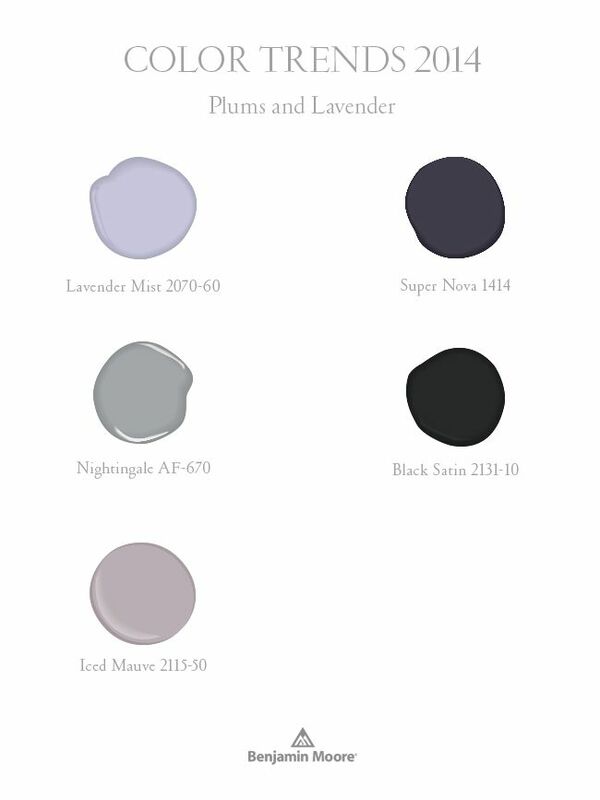 Also trending in 2014 are Plums and Lavenders. These have a grayed down tint to them and would be beautiful in a girl's room or an office, dining room, or laundry room. Isn't the Super Nova color dramatic in this photo? I love the natural wood tones against it. And that's a gorgeous mirror. 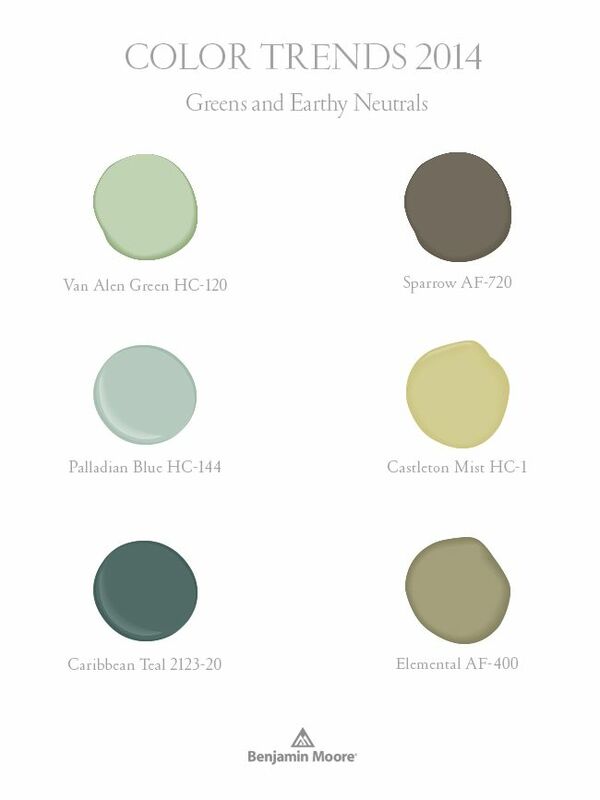 Here are the greens and earthy neutrals that are trending for 2014. 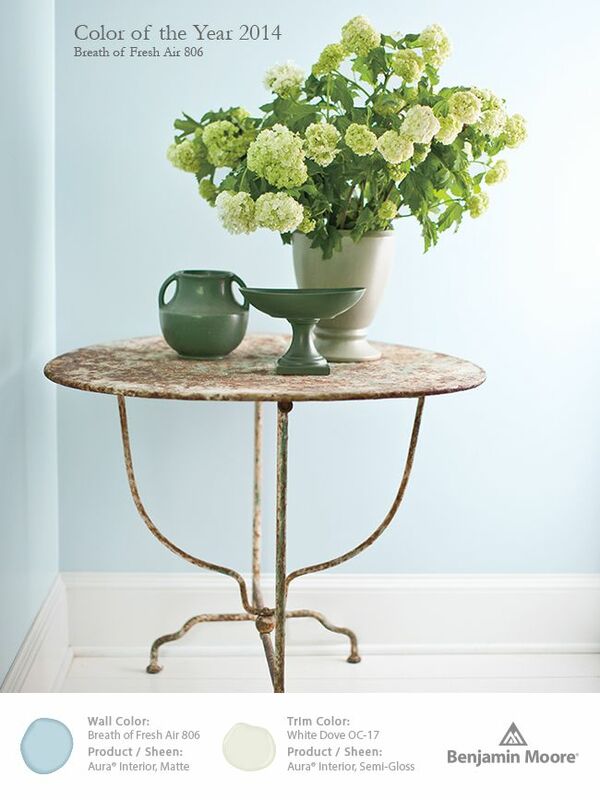 Palladian Blue has been one of my favorite colors for years. And Sparrow is a wonderful deep neutral. It would be nice in a dining room, living room, or bedroom. 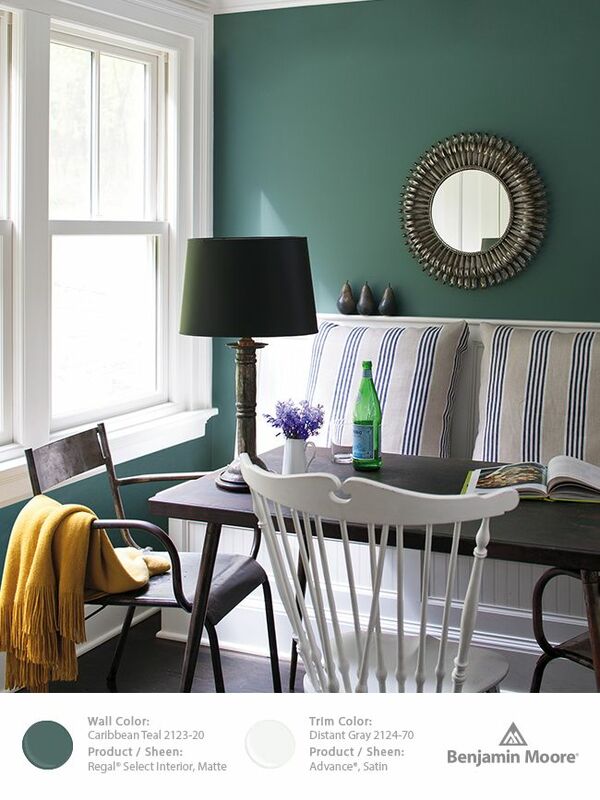 The Caribbean Teal looks striking against the dark floors and Distant Gray trim in this breakfast room. The yellow throw is a great pop of color in here. And the tan pillows soften the space somewhat. So what do you think? Are the 2014 colors right on target or way off base? As usual, I like some and dislike some. But that's why there are over 4,000 colors in the Benjamin Moore palette...everybody is different! These are some great colors. I like the blues even though I don't usually use it in my décor. There are some great colors here. I've really started liking blues in the last few years although I didn't like it all for many years. I guess our tastes change! 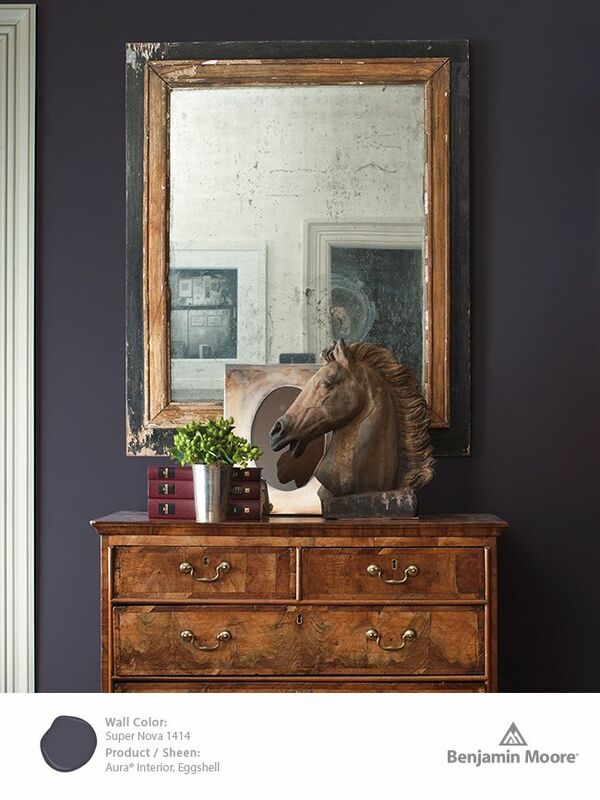 Love the plums and blues...great post...now I want to paint!!! !